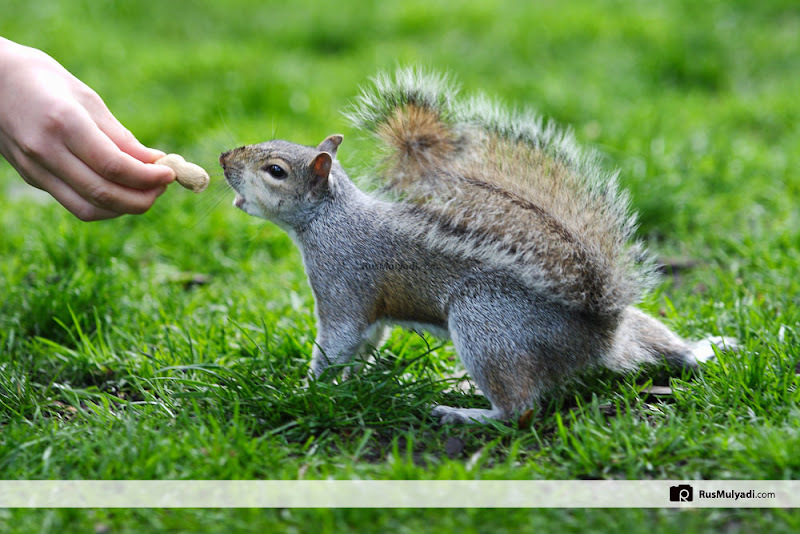 Squirrels can be trained to be hand-fed. Because they are able to cache surplus food, they take as much food as is available. Squirrels living in parks have learned that humans are typically a ready source of food.